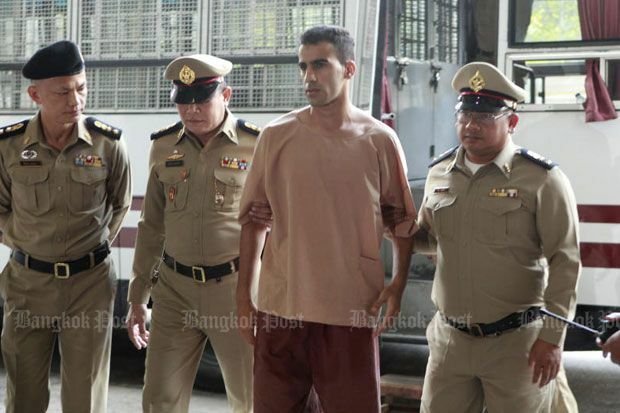 Public prosecutor Settha Thianpilakul from the foreign affairs bureau of the Office of the Attorney-General arrived at the court on Ratchadaphisek Road on Monday afternoon to withdraw prosecutors' earlier request for the extradition of the 25-year-old Bahraini footballer. 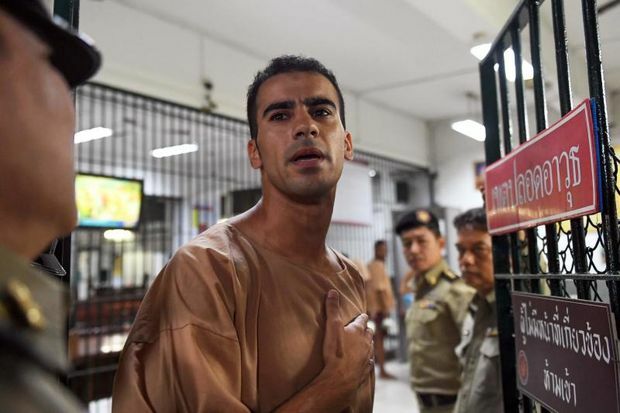 Shortly afterwards the court approved the withdrawal request and ordered Bangkok Remand Prison to release the man who became the subject of a mass social media campaign using the hashtag #SaveHakeem. "We have been informed that Bahrain wants to withdraw the (extradition) request... if they don't want him, we have no reason to keep him here," Chatchom Akapin, director general of the International Affairs Department told AFP, adding the process is underway to release him. Araibi was reportedly freed at 3.55pm on Monday and was expected to return to Australia on Monday night. While taking note of a "halt of legal proceedings" against Araibi, Bahrain's Foreign Ministry said in a statement that a 10-year jail sentence imposed on Araibi in absentia by a Bahraini court remained in place and reaffirmed its right to "pursue all necessary legal actions against him". 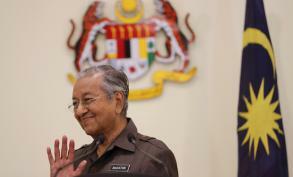 Earlier on Sunday, the state-run Bahrain News Agency reported that Prime Minister Khalifa bin Salman Al Khalifa had a phone call with Thai Prime Minister Gen Prayut Chan-o-cha, but offered no specifics on their discussions. Separately, BNA said Bahrain's Crown Prince Salman bin Hamad Al Khalifa met Sunday with Thailand's foreign minister who was visiting the island. Former Australia national team captain Craig Foster, who has been leading the campaign for Araibi's release, praised all those who worked on the campaign. Araibi, 25, a former Bahraini national team player, has said he fled his home country due to political repression. He has been living in Melbourne, where he plays for a semi-professional football team. Araibi's supporters said he should be freed and is protected under his status as a refugee with Australian residency. He was detained upon his arrival in Bangkok in November while on a holiday at the request of Bahrain relayed through Interpol -- from the international police body's Australian office. Araibi has said he was blindfolded and had his legs beaten while he was held in Bahrain previously. He said he believed he was targeted for arrest because of his Shiite faith and because his brother was politically active in Bahrain. Bahrain has a Shiite majority but is ruled by a Sunni monarchy. 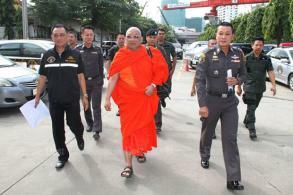 The Bangkok court previously set an April 22 date for the next hearing. Thai officials had said a trial could be lengthy, depending on how many witnesses are called by each side. A court filing from Thai prosecutors had noted that while Thailand and Bahrain do not have an extradition treaty, extradition is still possible by law if Bahrain makes an official request -- which it did -- and if the crime is punishable by more than a year's imprisonment and is not politically motivated or a military violation. Federico Addiechi, a representative of Fifa, football's world governing body, attended a Feb 4 hearing and said the organisation would continue to support Araibi. “Fifa is committed to protecting human rights. It is a commitment enshrined in our human rights policy,” he said. He said Fifa has not discussed imposing sanctions on either Bahrain or Thailand over the case. Nadthasiri Bergman, Araibi's lawyer, said the court had given her 60 days to submit the defence's case.